Catering to the international and local Thai communities, the Surgery Clinic at Samitivej adheres to the highest standards of quality. Led by a team of certified surgeons with years of combined experience, our clinic is proud to perform safe, effective operations for all who require them. We understand that finding the right surgeon is critical and ensure that we choose only the very best to work on our team. It is in acknowledgement of this commitment to excellence that our hospital has received the prestigious JCI accreditation, the highest recognition that an international hospital can obtain. Our skilled and highly specialized surgeons are capable of operating on everything from brain tumors and blocked arteries to fractured and broken bones. Our surgeries range from relatively minor, non-invasive procedures where patients are discharged and sent home a few hours later, to major operations requiring extended time in our Intensive Care Unit. Our patients may be less than a week old or have lived for over a century. In order to help our doctors do their best, we supply them with the best tools. 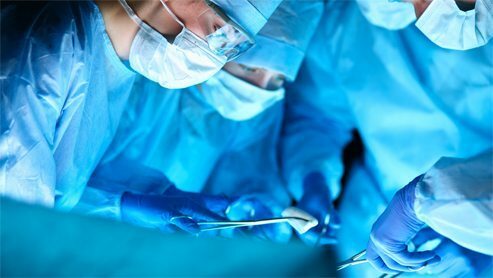 Our state-of-the-art surgical equipment, clean and private facilities, and specialized techniques guarantee that our patients receive unparalleled treatment.